We revised three computation strategies today in math - jump, split and compensate. 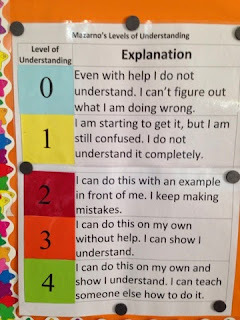 Following our revision lesson, students held up their fingers to express their level of understanding. This is such a great way for them to show straight away if they 'get it' or are still having a bit of trouble.